A car name synonymous with extravagance, Aston Martin was founded in 1913 by Lionel Martin, and since then it has become famous for its mix of hand-made craftsmanship, first-rate technology and design, power, speed, and utter luxury. 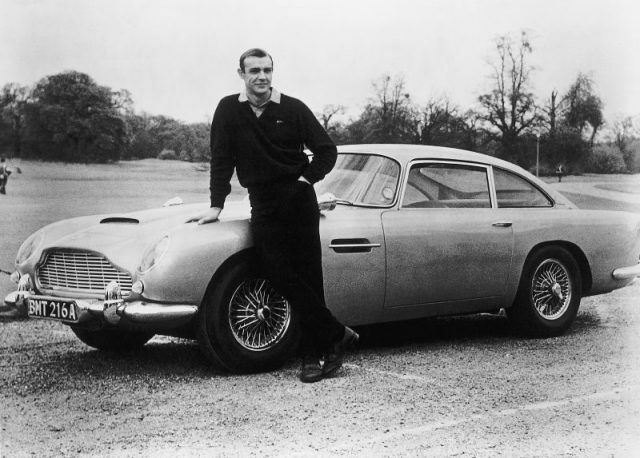 The brand has had a classy and somewhat romanticized image, especially since one of its models, the DB5, first appeared in the James Bond film Goldfinger, in 1964. 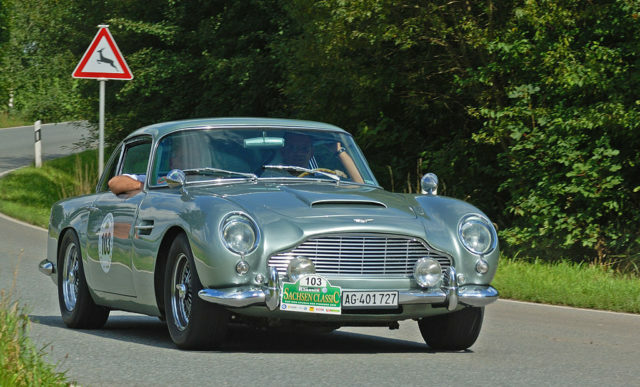 Aston Martin has had its share of financial struggles over the years and has changed owners numerous times, but the company has always been able to stay relevant and sought after among automotive aficionados. Today, however, the brand is facing a new set of challenges. In a world where the effects of climate change are becoming an ever-increasing concern, many cities around the world, but especially in Europe, are becoming increasingly unfriendly to the internal-combustion engine and its emissions. Given that, what can a classic car owner do? Having a wonderful vintage automobile is a lot less fun if you can’t drive it. Aston Martin has come up with a solution for this dilemma. According to the Verge, the automaker just announced that it’s launching a “Heritage EV” program, where owners of classic AM vehicles can have them converted to an entirely electric powertrain. A model of Aston Martin’s iconic DB5. 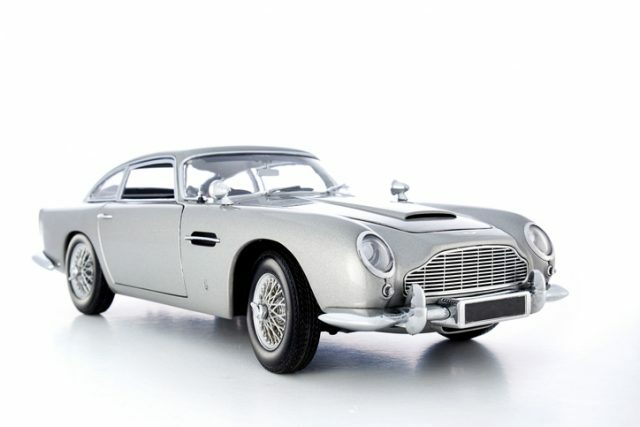 Released in 1963, it found global fame as the gadget-laden transport of the world’s most famous secret agent, James Bond. The automaker is currently working on developing an all-electric sports car called the Rapide E, which they anticipate releasing late in 2019, and they are planning on using components from that car design to do the conversions. Conversions are probably the only way a lot of people will be able to experience the Rapide E’s 200-mile range on one charge, 155 mph top speed, and 0-60 mph in less than 4 seconds acceleration, too, since AM is only planning on making 155 of them. The conversions will also start becoming available late next year, and AM is planning on starting the program with a conversion plan for the 1970 DB6 MkII Volante. The goal is to make the switch while having the smallest possible impact on the car’s look. According to newsatlas.com, they’ll make “cassettes” based on the Rapide E, which slide into mounts where the car’s original gearbox and engine used to be. The cassette will hold a motor and a battery pack. Umbilical cords will connect the car’s electrical systems to the pack. The electrical systems will be able to be monitored via a small screen installed in the car’s interior, which should be the only visible change to the vehicle’s look. There isn’t any real data yet on how the system will perform in a car which isn’t a Rapide E, but if owners don’t care for their conversion after they’ve tried it out, it’s been designed to be reversible. The cassettes and their mounts can just be disconnected, and the original motor re-installed. Reversing the conversion may not be inexpensive, but that’s not generally an issue with most AM owners. 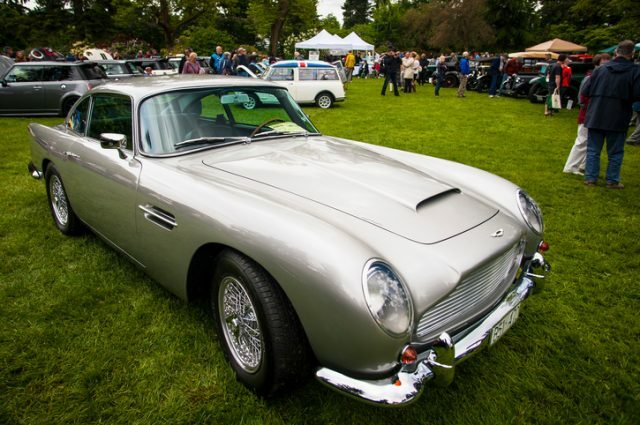 An Aston Martin DB5 is seen at the 2013 All-British Field meet at VanDusen Botanical Garden. The classic car show features modern and historic automobiles from British manufacturers. Paul Spires, the president of Aston Martin Works, said of the conversions, “We have been looking for some time to find a way of protecting our customer’s long-term enjoyment of their cars. 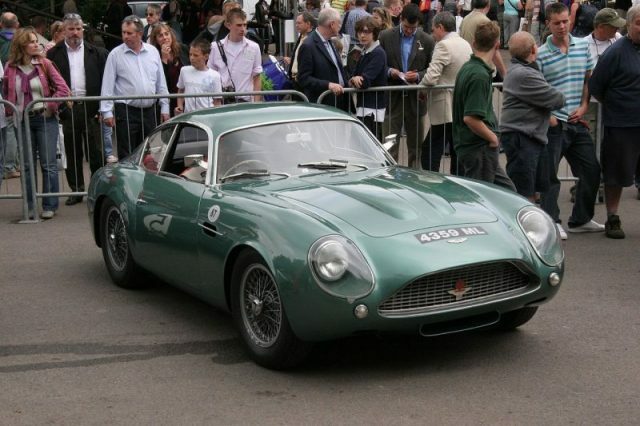 Aston Martin is only one of the most recent companies to work at developing EV conversions for classic cars. Dgit Daily has a list of others who are already working out how to preserve other models in a similar way and at widely variable price points. The list includes, but isn’t limited to, a Renovo Coupe which is a recreation of the Shelby Daytona that won at Le Mans in 1964, for a cool $529,000. Zelectric Motors offers a $68,000 VW Beetle which replaces the original motor with electric power. EV4U made a conversion for the classic Porsche 911 which runs about $23,500 in addition to the cost of the base car, and even Maserati created a conversion package for the 1985 Biturbo. Clearly, there are plenty of modern classic car enthusiasts who don’t want to give up the pleasure of driving their classics, and they are willing to take the steps necessary to continue.